Presently, the development of traditional military aircraft construction has reached the natural plateau of the technologies used. It is difficult to image something fundamentally new, which does not fit into the hundreds of times worked out mainline trend of creating platforms for fighter jets and other combat aircraft. The announced transition from the fifth to the sixth generation of the Air Force should be marked by even more advanced avionics and weapons systems, as well as other levels of active/passive board protection… Of course, the use of artificial intelligence and new composite materials can bring the business of producing innovative initiatives to a previously inaccessible height. However, if we compare this type of engineering creation with an unexpected, though seemingly well-prepared, breakthrough achieved by the Russians in the field of rocket engineering (we are talking about the “Avangard”, “Kinzhal” and other systems), it becomes obvious that there is nothing fundamentally new in aircraft building in the twenty-first century. Bringing the APC (aircraft performance characteristics) and combat characteristics on board to an unimaginable height will not allow to change the strategy of their use, as the design itself naturally laid down the maximum allowable values in terms of speed, secrecy, application (that is, the dynamic and practical ceiling of a machine). In order to achieve a qualitatively different result and transition to the sixth generation technology, it was necessary to solve the problem of radical changes in the power unit of the new model. Interestingly, it is again Russia that is ready to say its weighty word in this area at the moment. Traditionally combat aircraft use only one type of propulsion, the atmospheric propulsion system, which uses kerosene as fuel. Rocket construction, whether space or combat, uses direct-flow engines that allow for near-space travel beyond the Earth’s atmosphere. In the field of fighter aircraft applications, the question of a design that could be equally successful in airless space in Earth’s orbit as in normal atmospheric flight has repeatedly arisen. It is quite obvious that to achieve such results, it is necessary to come up with some kind of hybrid between rocket and aircraft engines. And, in principle, such a device was invented and manufactured in our homeland. 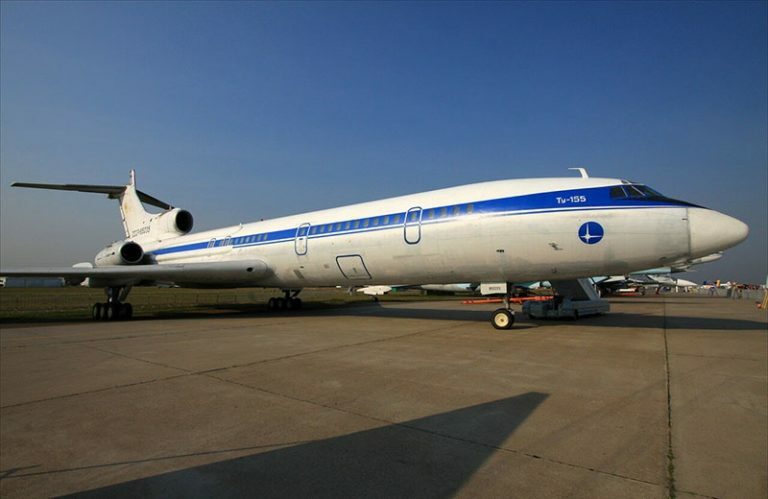 It is safe to say that cryogenic aviation was “born” in the USSR in the seventies and eighties of the last century. After long theoretical work, it was possible to prove and then practically substantiate the possibility of mass use of hydrogen fuel in aviation. In those years, there was an unexpected rise in the price of fossil fuels on the global market, from which the problem of switching to other sources of energy was raised with renewed vigour. Military Hypersonic Hydrogen-Powered Fighters of the Sixth Generation. And so on April 15, 1988 in the Gromov Institute of Fuel and Energy a cycle of flight tests was conducted on board the experimental Tu-155, on which the engine NK-88 was installed, which worked on hydrogen fuel. 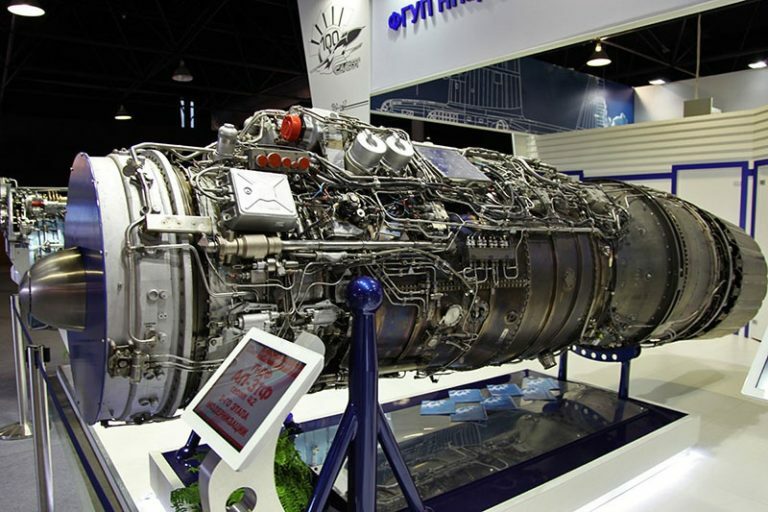 The product was the result of many years of work by the engine team under the leadership of academician N.D. Kuznetsov. The entire design of the aircraft was modified for use under the new power unit. A tank for the containment of liquefied hydrogen at -253 degrees Celsius was installed on board. In addition, for the normal operation of the product it was necessary to first develop almost from scratch, and then apply a helium system to control the power units, and then the nitrogen system, as a precautionary measure in case of a hydrogen leak. After successful tests, the aircraft flew from Moscow to Bratislava to Nice and from Moscow to Hanover. This prototype set 14 world records. Actually, it is possible to consider, that exactly then the co-called programme “Kholod” was born, and then “Kholod-1”. The result of the forthcoming research at that time was to become the air-space flight Tu-2000. In those years, the reformers abruptly stopped such a successful epic saga of development of a new, for aviation, type of fuel. However, the results were not in vain. They formed the basis for new research. This is how the hypersonic hydrogen engine, tested in Russia in 1992, was born. 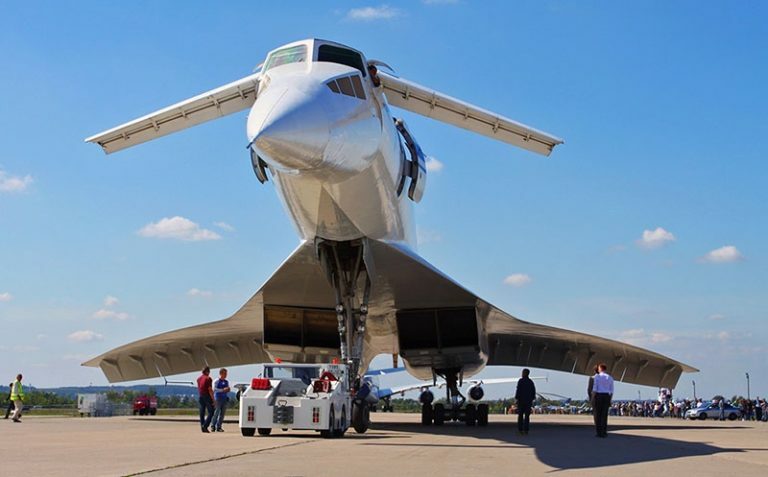 In fact, this unit is not directly related to the NK-88, installed at one time instead of the proper standard engine on the experimental Tu-155. That old N.D. Kuznetsov development was still a two-circuit aircraft engine, which, although using unusual fuel, was designed to operate within the same heights as its classic counterparts flying on kerosene. But it was thanks to NK-88 that it was possible to prove that the airfield maintenance of such aircrafts is not a problem, and hydrogen itself, subject to basic safety measures, is no more dangerous than other flammable substances. The last argument, which still does not have a positive solution due to objective economic reasons, is the cost of the industrial process of electrolysis, through which the necessary hydrogen is obtained. According to the technical and economic calculations, it turns out that civilian use hydrogen is unprofitable, as the total cost of its production, storage and transportation exceeds the positive economic effects. The basic models that the opponents of cryogenic aviation like to operate with show that for 1 joule of energy obtained from the combustion of this type of fuel, it will be necessary to spend from 4 to 12 joules of energy to ensure the production cycle. Presently, the problem of increased energy intensity for the production of hydrogen has not been solved. But what became a verdict for the civil sphere, in fact, had no effect on the possible military aspect of the “hydrogen” project. For fighter aircraft, the ratio of costs and economic efficiency, calculated in monetary units, plays only a minor role. Thus, in 1992, four years after the Tu-155 flight, the hypersonic hydrogen engine was tested at the site, which became a fundamentally new word for the mass output of fighter aircraft (and not only) from the gravitational “well” of our planet. Preliminary bench tests of the prototype, Hypersonic Flying Laboratory, were carried out in the Central Institute of Aviation Motors. In those years, V.A. Sosunov, R.I. Kurziner and D.A. Ogorodnikov supervised the work. Bear in mind, the baby was really original. The engine worked as usual straight through with speeds from Mach 3 to 5. When this threshold is exceeded, the automatics changed the places of fuel supply to the combustion chamber, and the unit turned into a hypersonic one. A total of 7 flights were performed in those years, achieving very encouraging results, a stable speed of Mach 5.6. 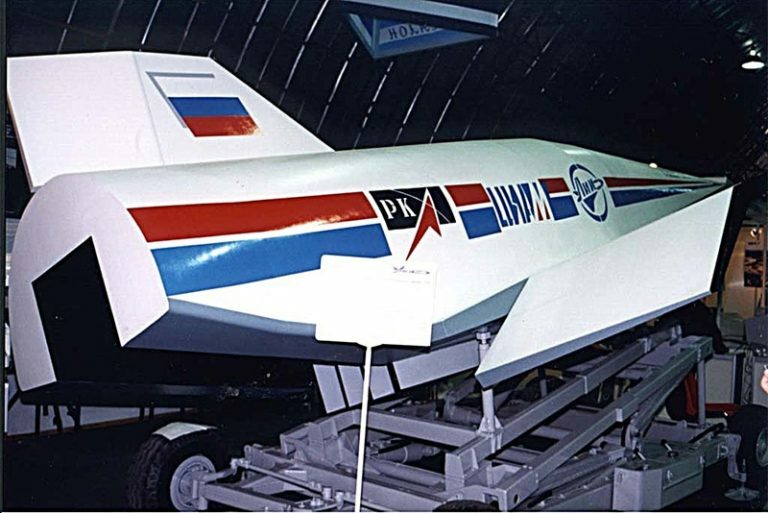 In this regard, in 2005 at MAKS at one of the Russian stands a model of the hypersonic aircraft “Igla” was presented. According to the stated characteristics, such a vehicle with a crew on board or in drone mode reaches a speed of Mach 14 in 50 seconds! It should be noted, however, that so far, that is, in 14 years, experts still consider the figure of Mach 5-7 to be more realistic. Such a device is quite capable of becoming a low-orbit fighter capable of operating in the “atmosphere-near space” mode. Thus, it turns out that it is hydrogen fuel, which runs the Russian prototype engine, allows the development of extreme speed and close approach the creation of a new class of machines of the sixth generation. According to preliminary estimates by some experts, it is possible that in 2025 we will see in the metal a new type of combat vehicle, running on clean cryogenic fuel. The strategy of using such space fighter jets was developed back in the times of the Third Reich. Before the end of the Nazi Empire, Berlin already knew how to make an all-metal jet-powered plane (Junkers Ju-287 Project) and even with a reverse sweep of the wing. The next step, according to the Nazi strategists’ plan, was to be a device capable of operating at suborbital altitudes. Unattainable for air defence, it could reach remote points of the globe and strike terrible blows with nuclear weapons. In our era of drones, the combat use of machines working in near space may consist of “swarms” of drones, obeying to swarm artificial intelligence. Interestingly, Russia does not make secret its research and works on the project side by side with the European community, at least to a significant extent, planned for mandatory work. 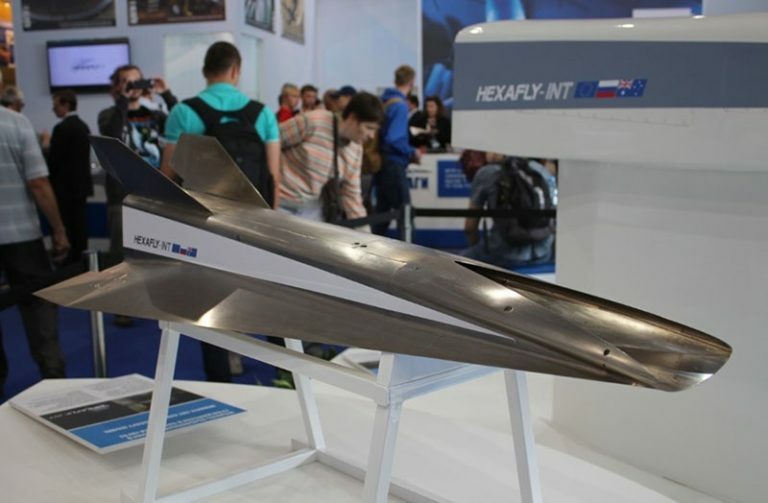 The Hypersonic Flying Laboratory Project HEXAFLY-INT (High-Speed Experimental Fly Vehicles – International) is being developed by the international corporation RUMBLE, created jointly by Russia and France. The team includes specialists from Dassault Aviation, Tupolev Design Bureau, the Central Institute of Aerohydrodynamics and the Moscow Aviation Institute. It is important to note that all participants determined by consensus the hydrogen engine as the propulsion system. 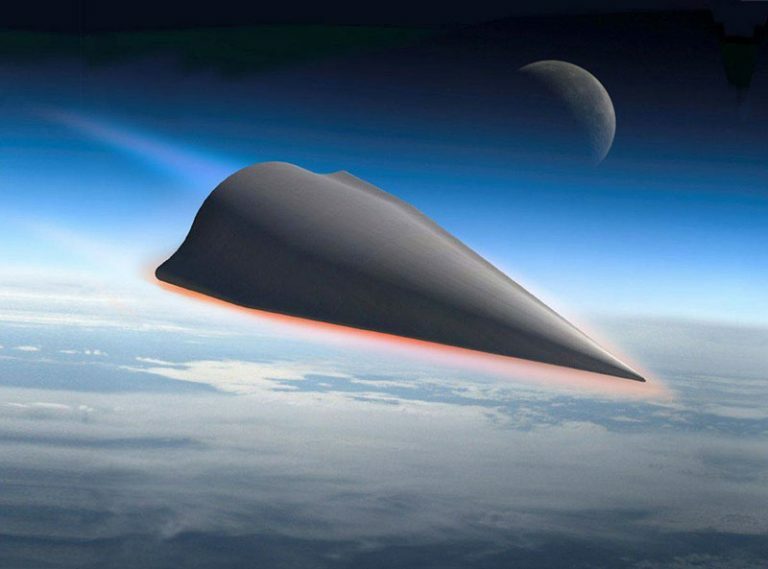 Most likely, it will become an updated version of the same hypersonic hydrogen engine, tested in far 1992. Currently, engineers are solving the most important issue of overcoming the sound barrier while maintaining the energy efficiency of the device, with the obligatory reduction of the acoustic effect. But still, and most likely, HEXAFLY represents a civil direction of research that develops in parallel with the defence concept. 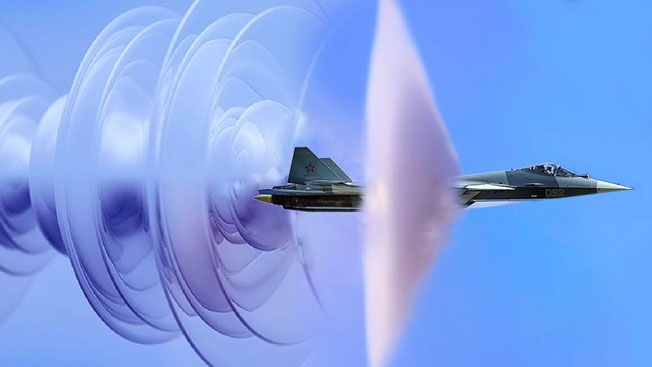 By the way, it is possible to note that at the Sukhoi Design Bureau 13 years ago engineers from the special department working on the problem of hypersonic structures told that the corresponding aerodynamic model has already been calculated. That is, almost a decade and a half ago, Russia was already able to minimize the acoustic effect for civil use. After all, it was the terrible “thunder from the sky” that prevented further exploitation of the French-British “Concord” (although it flew mainly to New York, that is, over the Atlantic), and its Russian counterpart Tu-144. Tu-144 – Soviet supersonic passenger plane. Both in Australia, which is concerned with the struggle for a clean environment, and in the United States, there are similar projects of “electric” hydrogen-celled planes, much closer to the first Tupolev prototype than a hypersonic laboratory with its extreme speeds. The fact is that even in the developed part of the world, the demand for clean engines capable of carrying passengers at low speeds from point to point is quite high. Thus, actually, the American project Element One was born. Its goal is to create a low-cost, environmentally friendly passenger and cargo aircraft that serves secondary destinations. Somehow we are talking about the analogue of An-2 (or the newer An-3), which Russians love. It seems that the century of clean hydrogen power units has finally come to the planet and above all, to the air forces of developed countries. For some time they will be adjacent to traditional engines, just as horses used to ride along the first internal combustion engines. But the future has already been predetermined.